The Unmasking of a Counterfeit President. No one needs to question Barack Obama’s qualification to be President. It is just as genuine as the pronunciation of his first name, (which his father and namesake pronounced Bair’ak). 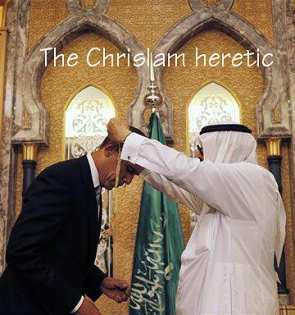 Obama has seen to the job of having him vetted by doing it himself. He has offered us a cyber-photo that every person in the world with a decent word processing program can examine to determine is fraudulence, but no individual can determine where the heck that nine layer cyber-image came from. 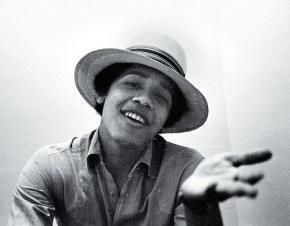 It’s origin wasn’t in the White House, -it was in the Hawaiian Dept. of Health. It was created using their files and their equipment. Clandestinely? Perhaps, perhaps not. Higher ups like to maintain plausible deniability of actions they support but can’t be a part of nor have direct knowledge of. Since no can anyone examine a real paper Certificate of Live Birth, -one that is signed by a human hand, stamped with a real notary type metal-die embossing device, and which represents a TRUE COPY replication of an actual document, no one can prove that a certified hard-copy even exists. Obama has never been seen with one. In fact, he has never been seen even with a copy of one. Why not when he made a big deal about its release? Plausible deniability. He wasn’t allowed by his attorney to even be in the room with a copy. Nor has he ever mentioned it directly. But who needs all of that, -we have the word of the priests and monks in the White House who would no more lie to us than they would lie to the Almighty. Surely we can trust those who are politicians to their very bones. Politicians never lie. Everybody can be assured of that, and when they ask us; “who ya gonna believe, us or yer lyin’ eyes?”, we know it’s them that we can trust and not our lyin’ eyes. If you succumb to weakness, then what might your lying eyes and common sense tell you? A whole lotta things, beginning most recently with the Verification of Birth letter issued by some clerk in the Hawaiian Dept. of Health dated May 22, 2012 and addressed to Ken Bennett, Arizona Sec. of State. That statement has at least two huge flaws. One is failure to describe the certificate as anything other than a copy for Mr. Obama. It is not called “a copy of the Hawaiian Health Dept. Certificate of Live Birth”, or called “the Certificate of Live Birth issued by the Hawaiian Health Dept. Is that significant? Based on the fact that it has never been so described and no one has attested in any legal venue that it was officially issued by the Hawaiian government, one cannot take such a “verification” at face value. But the bigger reason not to do so is the use of the term “original record”. One’s mind feels that the use of the word “original” adds validity to the noun “record” but in fact it adds nothing. Instead it raises the question as to why it was even used at all, and even serves to bring up the issue of the practice of falsely using the word “original”. It would have been perfectly adequate to say it “matches the record in our files”, because what is the alternative? A non-original record? An altered record? A counterfeit record? A substitute record? In truth, all of those are possible because original does not mean “first” in Health Dept/ Vital Statistic Office parlance. Whatever “record” they have in their computer data base is called the “original record” even if the original is locked away under court seal because of subsequent adoption, change of the record of who the father is, or a Witness Protection program new identity issuance. There are millions of Americans who were adopted, and whose birth records were sealed, who wouldn’t be able to prove who they are without a new “original” record which contains false information including parentage and date of birth. 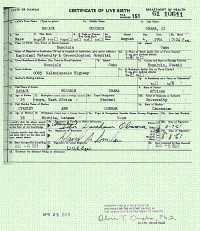 Obama was adopted, though not as an infant, so his record wouldn’t be under seal, but where is the missing adoption “amendment” to his birth record? It is not seen because his record is not a copy of a real document which would contain such an amendment. It is instead a compilation of information digitally extracted from microfilm images of original records. That extraction process is what explains the numerous anomalies in the text of the pdf released online by the White House. That is the reason that no verification is given that the image of the pdf “matches” that of their record. No one in Hawaii has ever said nor will ever say that because they do not issue images of their records anymore. They now only issue digital “abstract” images of what is seen in their records. That serves two purposes. No more handling of hundreds of dusty bound volumes of real documents, nor cumbersome, and possibly fragile microfilm original photos of the hospital records, along with the ability to create certificates on desktop computers. Hawaii, and any other such state, can issue a truly certified document only by following the rules that had been in place since the invention of photographic reproduction of birth records. Since micro-photography was invented about 150 years ago, it has probably been in use a very long time. That process resulted in “a true & correct copy” of the original record. The heads of the departments of records signed their signatures on the copies and stamped them with their state government embossing stamp. Looking at that copy you knew exactly what the original looked like, but in negative. The copy was certified to be a “True Copy” of the original. But now no true copies are issued. Only abstracts composed of extracted information. The so-called certification is now a matter of pretending that the Certificate is a copy of one’s birth record when it is no such thing. It is instead merely a digital reproduction of all the elements the original contains minus the presence of the paper it was typed on. That digitized form, on a transparent field without any background, is placed on the image of security paper as its new background. When printed it constitutes an abstract form of the original, -not an abstract copy, because abstracts can’t be called copies. Copies are copies, while abstracts are abstracts. That is why the Hawaiian registrar’s signature stamp “certifies” that a birth certificate “is a true copy or an abstract”. Not a true or abstract copy. The stamp’s statement is a travesty against true certification because you can’t certify an “or” statement as being “THE” certified truth since there’s no way to know which it is, -a true copy or an abstract? What exactly is being certified? Certification statements can never be vague nor ambiguous. They must be exact and accurate. Claiming that it might be a true copy has to be a flat-out falsehood since they no longer have a need nor reason to issue true copies. If they did, then they would be following some arbitrary non-standardized protocol by which they might issue either one for no particular reason. What’s wrong with issuing digital abstracts as certified copies? Birth Certificate fraud. Digital data can be exported, and altered imperceptibly. With a fake birth certificate you can obtain a U.S. passport and pass yourself off as an American citizen. The amount of fraud in Puerto Rico in recent times was so bad they had to invalidate all the birth certificates in the territory and issue new ones that couldn’t be counterfeited with a desktop computer and laser printer. It must have been quite easy to make fake ones because they had a similar or even worse system of issuing abstracts which were open to photo-shop digital manipulation of text. So the so-called “Verification of Birth” letter is not in any way a verification of the White House pdf because the pdf is not a copy of any birth record, -it’s just an image of something that looks just like an official Hawaiian Certificate of Live Birth, but then counterfeit money also looks just like the real thing, as does an image of real money viewed on a computer monitor. Instead, what’s certified is that the information matches what is in the (digital) files. Hawaiian officials released a statement in 2008 that said in effect that Obama’s record was handled no differently than any other record, which means they never checked the paper records, just what appears in their data-base. …”Therefore, I as Director of Health for the State of Hawai’I, along with the Registrar of Vital Statistics who has statutory authority to oversee and maintain these type of vital records, have personally seen and verified that the Hawai’I State Department of Health has Sen/ Obama’s original birth certificate on record in accordance with state policies and procedures. The information “on record” is recorded and maintained according to their policies and procedures in the form of a digital data-base accessed via computer terminals. 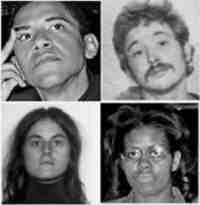 So instead of them trekking to their warehoused archive of 50 year old ledgers and searching for Obama’s original papers, or searching through their vaulted micro-film records, all they did was sit at their own desks and call up Obama’s file image, and then attest that they had seen “the original birth certificate”. They avoided any explanation of what that meant. What they saw on their monitors was no doubt just what they were supposed to see after it had been sanitized of any entry that would have been embarrassing or proof of ineligibility. 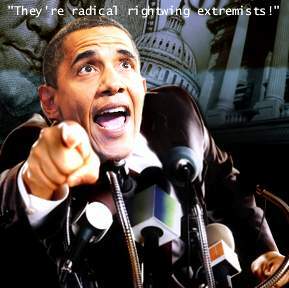 With the data-base abstract image altered to protect Obama’s legitimacy, the Obama acolytes in the Hawaiian Health Dept. 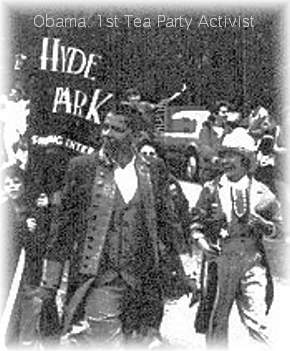 could claim with a straight face that they have personally seen the information “on record” and it “indicated” that Obama was “a natural born citizen” even though no court has ever ruled specifically on what that term means, though it elucidated the principle of natural citizenship in the case of Inglis v. Trustees of the Sailors’ Snug Harbor, 28 US 99 (1830), yet they are ready and willing and eager to offer their expert constitutional law insight. How perfectly neutral of them, -how strictly objective and factual and scholarly and authoritative. But who wants to bet their life and that of their wife or mother or daughter that what is in the computer data-base is completely beyond manipulation? Nothing that is not beyond manipulation can be trusted when the fate of an entire administration and political party are at stake. No confirmation of the unverifiable “facts” stated by an Obama-supporting fellow-socialist Hawaiian official is worth the paper it’s printed on. 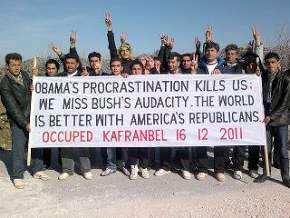 To them, lying for Obama would be like lying for Jesus. Why would that be out of the question? 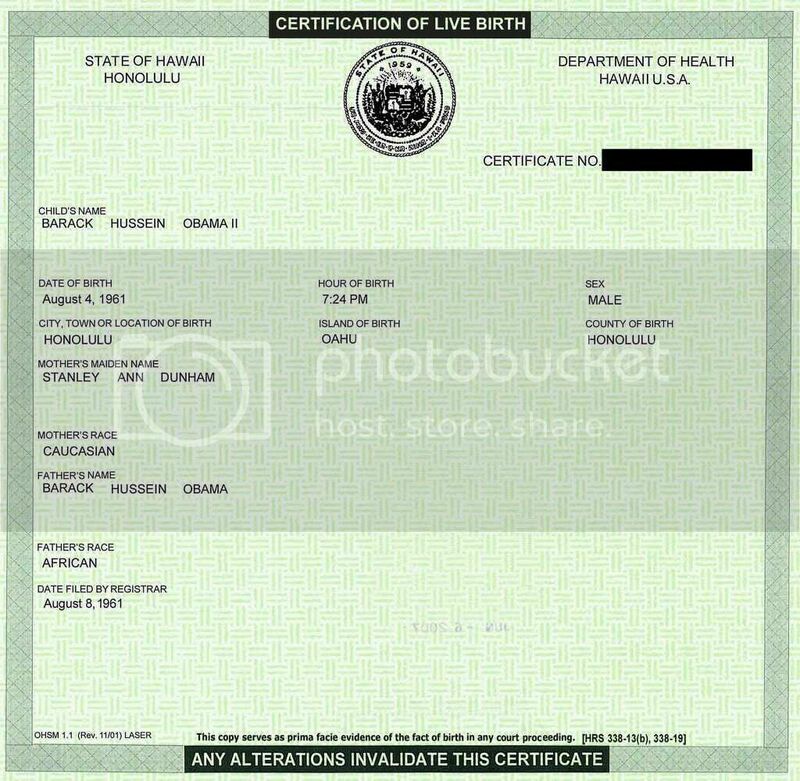 The history of politics is a history of lying and the so-called “certificate” image of Obama’s birth facts is the most political document (image) in modern American history. Another problem is the claim of verification of point # 1. “A birth certificate is on file with the Dept. 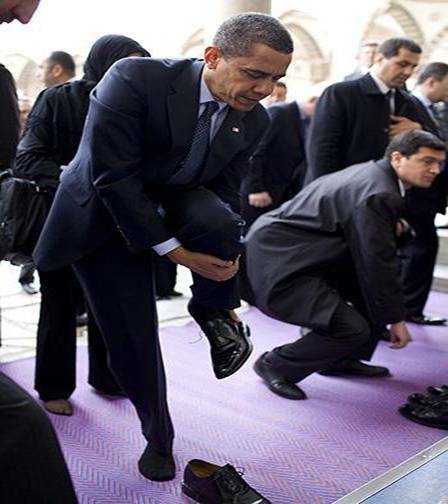 of Health indicating that Barack Hussein Obama II, was born in Honolulu, Hawaii”. But above the Registrar’s signature is the statement: “I certify that the information contained in the vital record on file with the Dept. 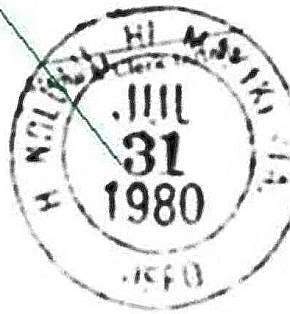 of Health was used to verify the facts of the vital event.” A standard statement if ever there was one, -part of the rubber stamp that includes the Registrar’s signature in rubber, -one more bastardization of true certification, stamped by a clerk with her initials added next to it. How do you discern if the signature is a forgery or not if the signature is not even a signature? No real signature equals no real certification. 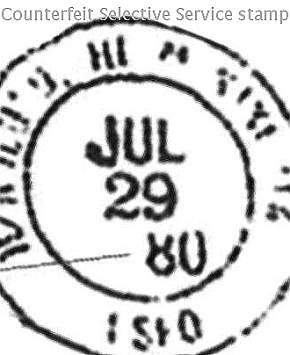 First the record on file is called a birth certificate, but lastly, in the stamp, it’s called a vital record. Vital record is accurate. Birth certificate is not, unless they have an actual birth certificate issued by another jurisdiction and surrendered to them in exchange for a Hawaiian birth certificate issued to Obama’s mother. A certified birth certificate is a certification by the state that the copy of the vital record they release to a parent is a true replication of the original. That always meant the original record and not simply the original information. Believing in the information alone requires faith that there was no error or manipulation, whereas “a true copy” image replication requires nothing other than the ability to see and read and think. Faith was not involved other than believing your own lyin’ eyes. Which would you prefer to trust, your own eyes or dubious conflict-of-interest statements about information of an unverifiable nature held “on file”? What a fraudulent statement. The claim is made that a birth certificate is on file. That raises several questions. 1. They would not know nor care if a birth record existed in their massive paper archive. they would only know what they found in their digital data base which contains data from all of their records. they would go no further than checking on a computer what info was displayed. the accuracy or fraudulence of that information would not have concerned them. Whatever info was displayed was, no doubt, entered fraudulently and contains false information. 2. The statement does not call the “birth certificate on file” a Hawaiian birth certificate. If one is really in their archive and in their data base then no confirmation is provided as to the nation or state or hospital that issued it. 3. 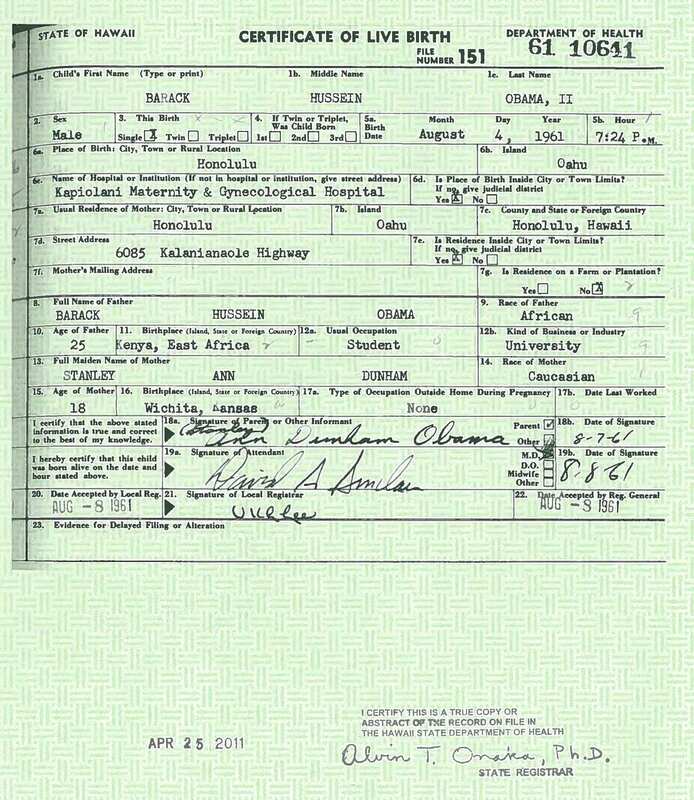 If the only statement he was willing to make is to verify that the bc on file indicates that obama was born in Hawaii then he still has not verified where he was born, only what the info in the file indicates, -accurately or inaccurately. This scenerio fits with DOH’s use of the word “indicating”. it may have also provided a legal out for the OIP requests that were not fulfilled. The BC shown to the public is a lie: there is no BC on file in Hawaii. DOH does hold some records about his birth. We can only have suspicions about what is in Hawaii’s records for Obama; those records will not be opened for inspection any time soon. That so-called “verification of birth” is funny. There’s not a birth date listed. 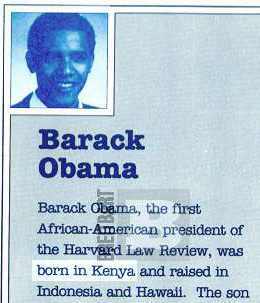 Remember when Breitbart came out with the article about BO’s literary booklet had that he was born in Kenya, and wasn’t it dated 1991 at first? When that lady said that she made a mistake, was she meaning that she got the info off the Internet in 1991? Well, I know that there was very, very little Internet stuff back then, right? We didn’t even get AOL back then until about 1995, and there wasn’t much out at that time. Do you remember what that turkey said? If she got his stuff off the Internet, which we know that she didn’t, I mean…. She did not say how she had made the “mistake.” Only that it was a fact checking error. Why would a publicist expect to have to fact check a authors personal bio? And in 1991 the net was not at all as it is now. She did not claim to have gotten info from the net – not from what I have read. We all know that her statement was bull. It was simply more of the same covering for Barry. “Hawaii duped Arizona” in its response to Arizona Secretary of State Ken Bennett’s request to verify Barack Obama’s eligibility for the 2012 election, charges the lead investigator of Maricopa County Sheriff Joe Arpaio’s Cold Case Posse. “We have developed incontrovertible proof that the verification provided by the Hawaii Department of Health to Arizona’s secretary of state on May 22 really doesn’t verify anything of significance,” said MikeZullo, who is in Hawaii to follow up on his team’s initial findings concerning Obama’s birth record. 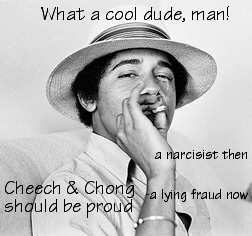 The vast majority of our so-called public servants know that Obama is a criminal fraud. 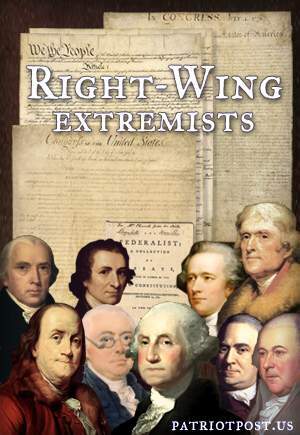 How can they shirk their duty to their oaths to protect our Constitution? The whole situation is surreal. Obama should be locked up tight in federal prison (or worse, actually). Many, many multiple millions know this. Why can’t someone in authority acknowledge that the emperor has no clothes? Seriously, this is so surreal. Why can’t I just pinch myself and wake up to an America that would make sense to our mothers and fathers? Why did so many die in WWII? How can so many fellow Americans in the media be such Kool-aid drinkers? Sometimes our great nation’s governmental state is simply unfathomable. How can this be?